A MAN serving out a suspended prison sentence for 101 counts of fraud has been jailed after pawning hundreds of dollars' worth of items he stole from a family he was house sitting for. Brendan James Butler, 32, pleaded guilty to 15 charges in the Bundaberg Magistrates Court on Thursday including four counts of fraud and three counts of stealing and possessing a knife and house break-in items. The first offence in time, saw Butler walking through Thabeban in the dark on August 19, 2017. About 8.40pm police responded to a call from a resident, reporting an alarm had been activated in the area. Ten minutes later police spotted Butler carrying a backpack, wearing a head torch and holding a pair of latex gloves. A search of his backpack revealed a number of tools commonly used to break into houses such as a screwdriver, screw bits, an Allen key and a blunt knife. Four months later on Christmas Day, Butler temporarily moved into the home of a person he knew on December 25, 2017. The court heard he was asked to house sit and take care of the family's pet spanning a two-to-three-month period. Once alone in the house, the 32-year-old took a Sony PlayStation console, two Nine Eagle drones and 56 video games belonging to the family and hauled the stash to Cash Converters Bundaberg. There he signed a loan document saying the items belonged to him, before pawning them on February 8, 11, 22 and 25. When they returned on March 3, the victim family questioned Butler over the missing items and he admitted he'd hocked their belongings at Cash Converters. Within two weeks Butler managed to return the stolen console and six video games to the family, but the thefts were still reported on May 15. The following day officers seized the remaining 50 games from Cash Converters. The two drones were later returned as well. Butler has previously been sentenced to 12 months in prison suspended for three years - the penalty a result of 101 fraud offences he committed in 2016. Because of the sentence hanging over his head, police prosecutor Sergeant Dean Burgess told Magistrate Belinda Merrin the recent offending meant "the only appropriate penalty has to be imprisonment. It's just a question when he'll get out". On Thursday Butler also pleaded guilty to stealing a $70 jacket from Rag Retail Group on May 26 and $162 worth of items from Chemist Warehouse on June 1. 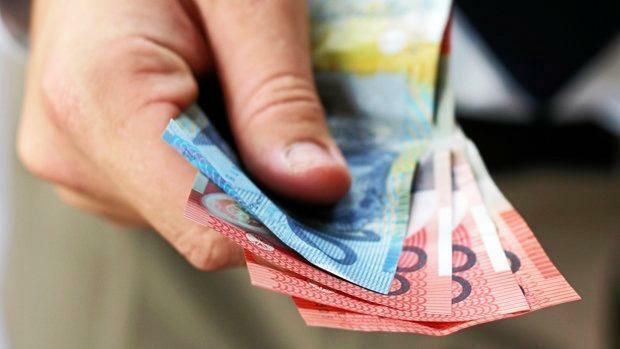 The court heard restitution for $170 for Cash Converters Bundaberg was also being sought by prosecution. "He obviously has an underlying issue, Your Honour," Sgt Burgess said. Butler was taken into custody August 1 and has since served 101 days. Defence lawyer Edwina Rowan said her client had had issues obtaining work ever since he seriously injured his leg six years ago, when he fell through a roof while helping a landlord repair some sheeting. "He suffers from some ongoing problems as a result of that," she said. Butler's suspended prison sentence was activated and he was sentenced to a further 13 jail terms - the longest being a four month sentence. He was granted a parole release date for November 30.